It helps to generate copy/paste code to embed into a webpage. Just copy/paste to do this job in a professional manner with no coding every time. View a slider (e.g. 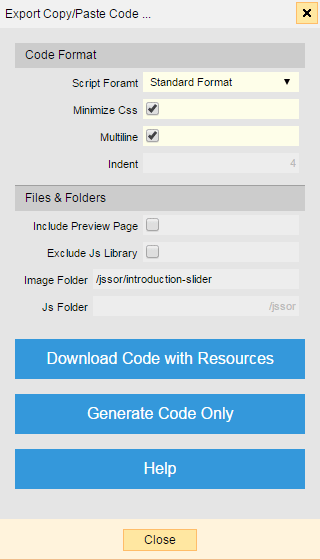 /jssorservice/001-image-slider.slider). 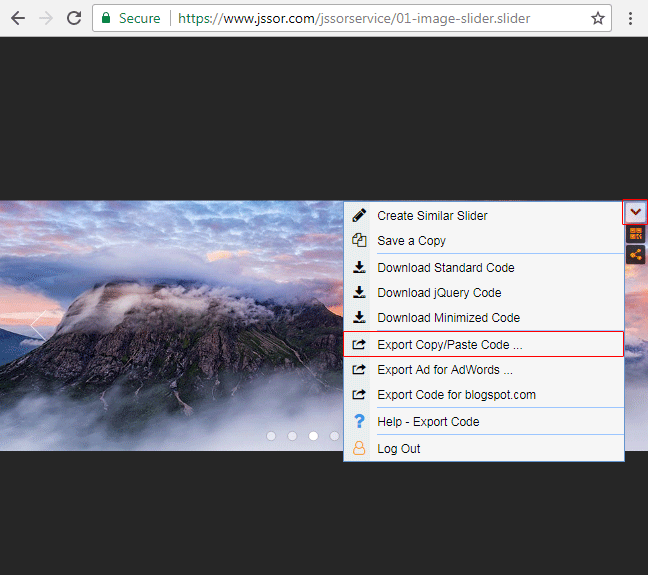 In the slider view page, click command button at top right corner, and then click 'Export Copy/Paste Code ...' on the dropdown menu.